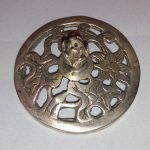 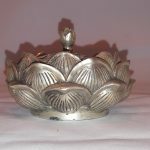 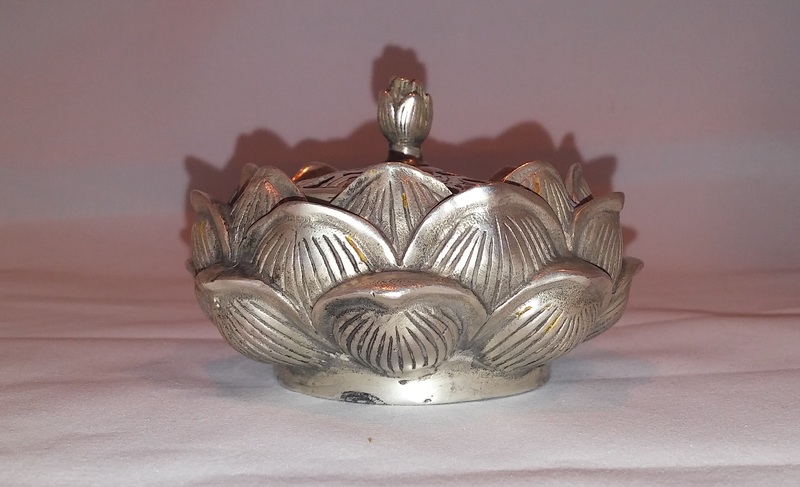 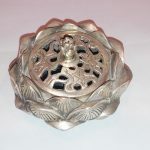 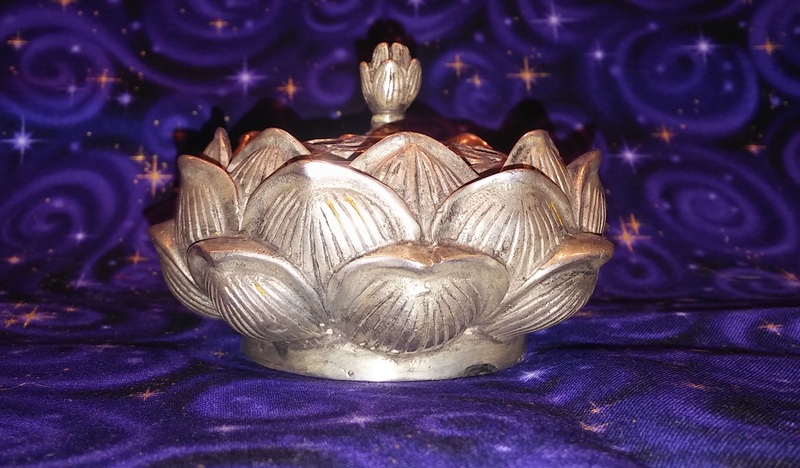 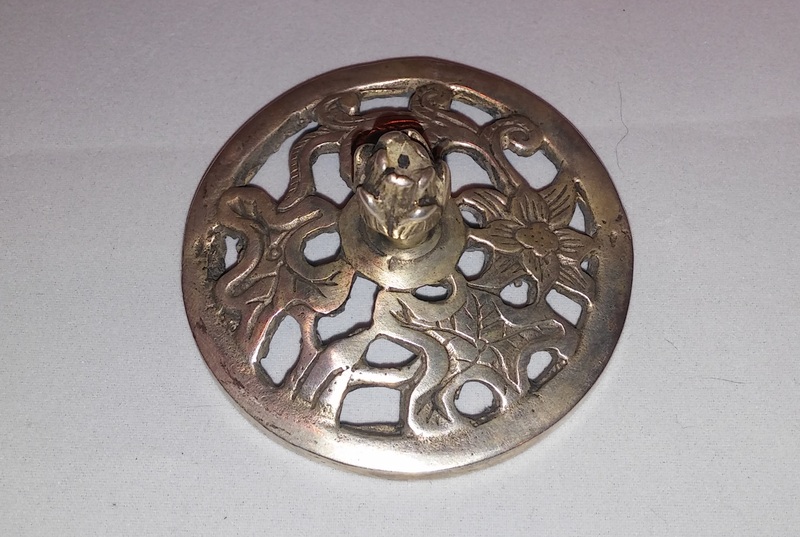 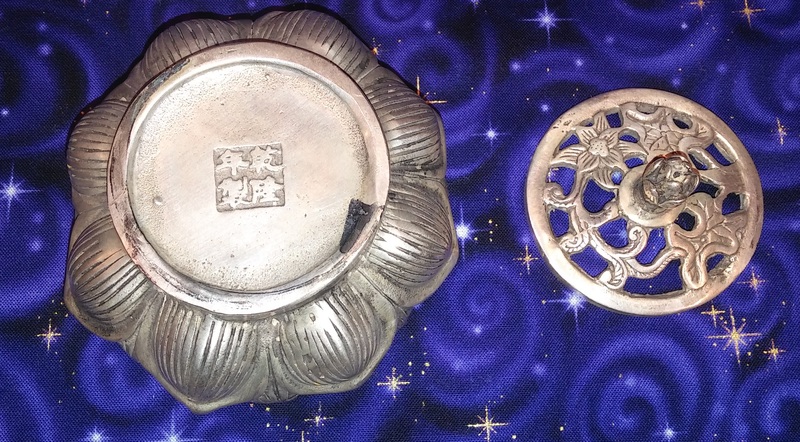 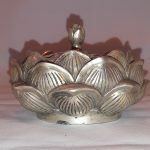 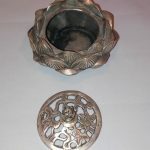 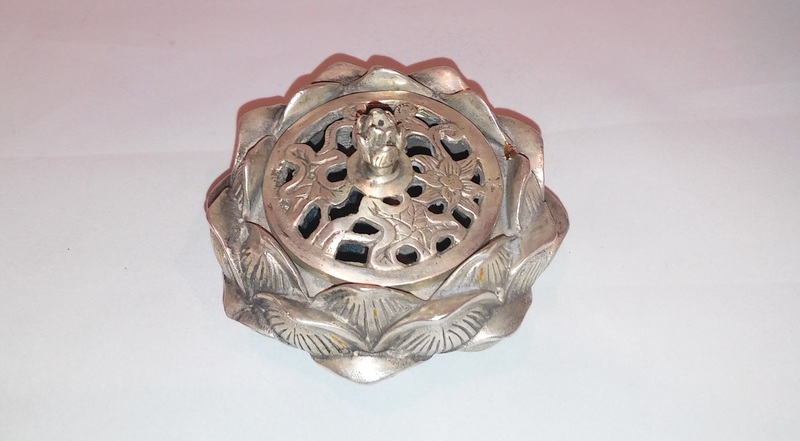 Solid metal carved lotus blossom with filigree top. 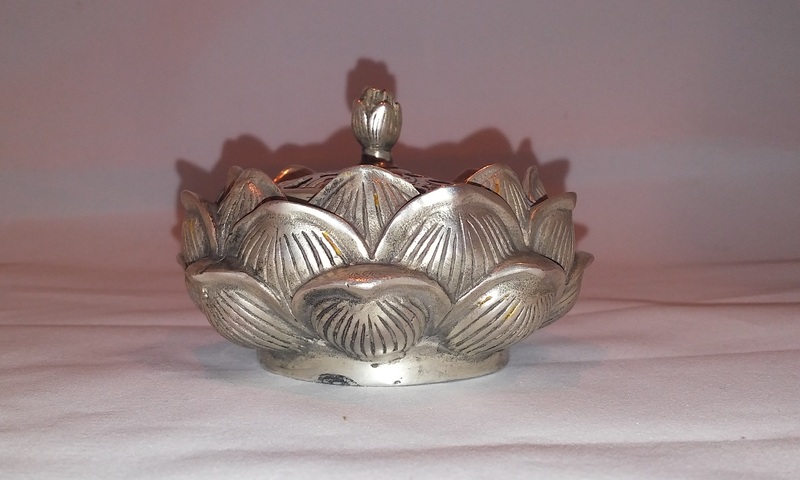 This is a beautiful vintage item whose age has not been determined. 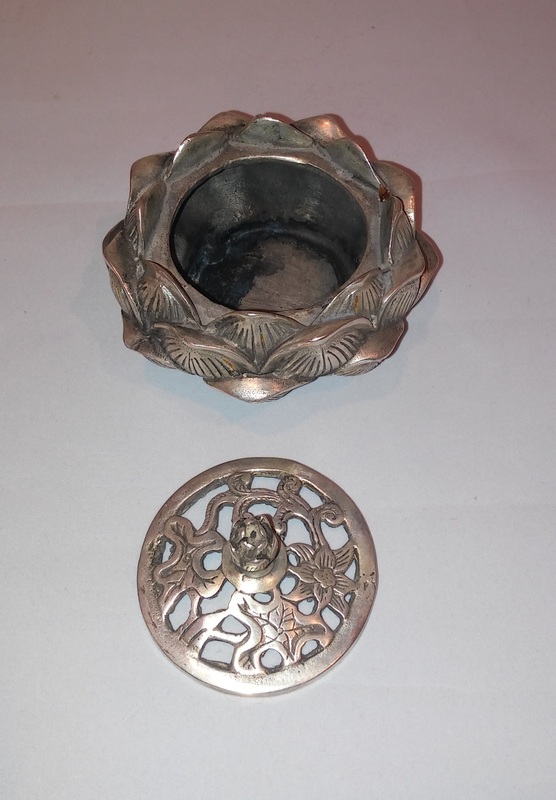 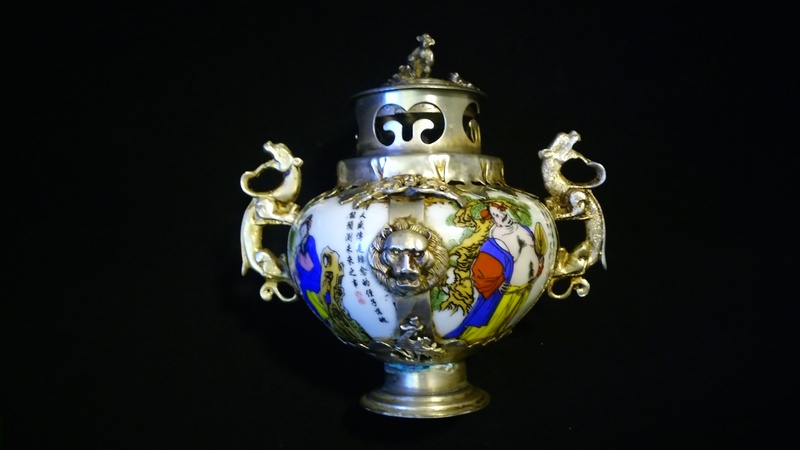 Silver over possible brass base metal.